can promote this at the Section Level. ones and end up missing clubs and groups. 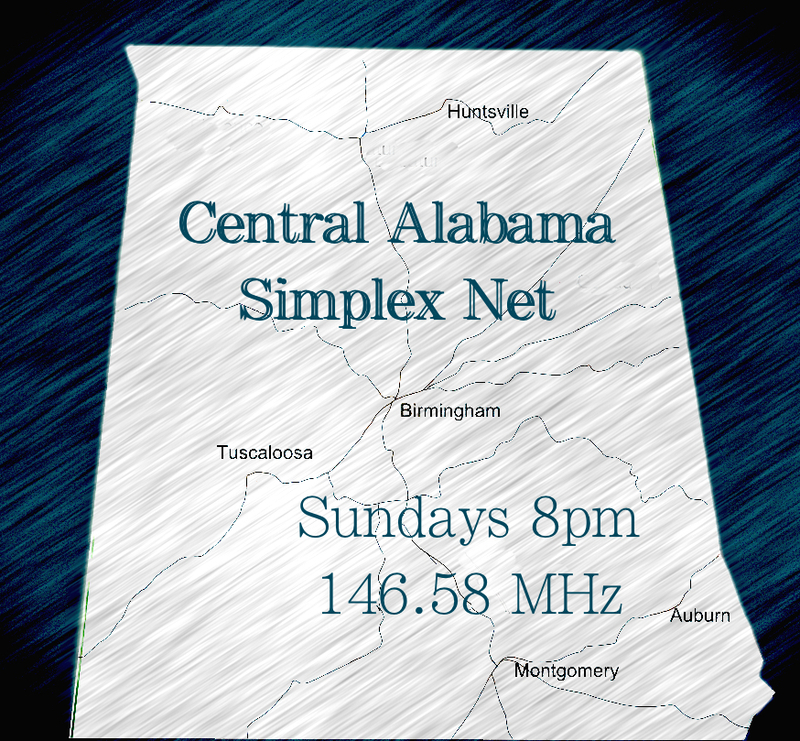 Heard tell of a monthly net happening on the 3rd Tuesday of every month, 7pm, on the Moody repeater. That’s 146.62, negative offset, and no PL. Heard it’s a Bible net. I hope this email finds everyone doing well. ALABAMA 2016 SET is right around the corner so I wanted to send out information for everyone to start promoting on social media, Club meetings, Club websites, and on community news outlets. We need everyone involved so please begin talking this up, sharing the date and times with other amateur operators, and promoting this event with as many served agencies as you can in your districts, counties, and communities. We understand that not all counties will be conducting your 2016 SET on OCT 14-16 as you may elect to hold your SET event before or after those dates. Please send in your reports to your SEC David Gillespie, W4LHQ at [email protected] once you have tabulated your traffic and scores. To better our chances of getting as many of the county EMA’s to participate during SET check ins, we will start the Alabama 2016 SET at 1500 hours on Friday afternoon in hopes of collecting that traffic at our EMA’s and other served agencies that are normally closed on Saturdays. SET OPERATING TIMES ARE LISTED BELOW SO PLEASE HELP US GET THE WORD OUT. We will send more details to all EC’s and DEC’s soon about the type of event and details about what will take place during the exercise. I also want to encourage each county to participate in all modes of communication including standing up HF nets, 2m/440 nets, Digital nets and other Digital modes of collecting traffic. During a real disaster, we may not have the ability to utilize all of these types of COMM, but during an exercise, this is how we test, plan, and then test again our equipment, our reach, and our ability to work together with lots of people at one time. Please share parts of all of this communication with your clubs and on social media outlets. I want to personally thank each of you for your hard work and willingness to make our state a stronger partner with other served agencies by maximizing our skill and education through effective use of Amateur Radio. The sixth annual Helena Hamfest is fast approaching! The event will be held on Saturday, October 8, 2016, from 9:00am to 1:00pm at the Helena Amphitheater in beautiful Helena, AL. We’ll have VE testing, tons of tailgaiters with tons of equipment for sale, and are expecting some great vendors. Tables will be $10.00 each. Vendors or tailgaiters can bring their own tables if they wish. In that case, the only charge is the price of admission! James Baker, KW4PC, has joined Dale, N4HEY in maintaining and adding to this website. We’re grateful to have James aboard. And by “We’re,” we mean Dale is. Really is.